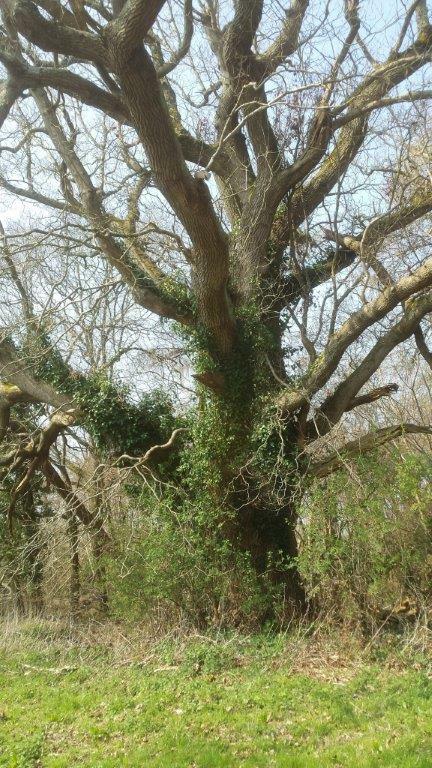 While you are out enjoying the countryside on foot or by bike, with family or friends, in the Maves Survey Area, you could have a look out for any unusually large trees. See our blog 'Arundel Veterans' for an introduction to their importance. All you need is a tape measure, identification book or sheet, a grid reference (using mobile phone app or map) and a camera – and download the attached guidelines and recording form. You might also find it handy to have a pair of binoculars. The form asks for a range of features but the most important items to record are species, single or multi-stemmed, girth size and grid reference. We are particularly interested in the native species such as oak, beech, elm, ash, holly, wild apple, cherry, field maple, hawthorn, yew etc. If you have any problems identifying the trees, please send us a photo and the grid reference and we’ll identify it for you. There are some really good free grid reference apps you can download on to your phone eg Grid Ref UK and Ireland (2012-2015 Mike Irving) which will also give you your Latitude and Longitude; GridPoint GB (by George MacKerron 2009). Alternatively, a Garmin (if you have one) or a map will also give you a grid reference.